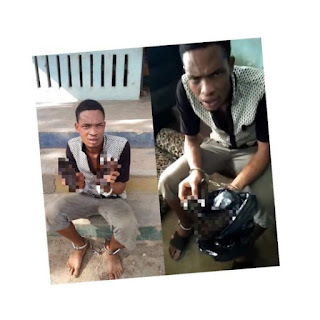 The suspect was nabbed, yesterday, at Ijero Ekiti, during a stop and search operation by the police. According to him, he got the hands at Oke Imesi, adding that he planned using it for Oshole (a type of money ritual common among Internet fraudsters). Nifemi further revealed that he was planning to do the ritual in collaboration with two of his friends identified as Alex and Paul.